lifestyle | let's go pinas!! Ah weddings and their many traditions to a lasting and happy marriage! In the US, the wedding tradition starts with the bride-to-be looking for her wedding gown in bridal stores where the salesperson attending to her can show and deliver what the bride to be has always envisioned for herself during that special day. In doing so, the bride wears the probable gowns for fitting and showcasing them to her accompanying mother, sisters, girlfriends, and sometimes her groom for the right bridal dress design. After consultation, the chosen gown is to be worn again on the very day of the wedding. In Philippine weddings, the bride to be can still look for a dress or have his fantabulous gown designed to her liking, but it is a definite no-no to fit the gown itself or lest the wedding is doomed not to go through at all. Hence the designers would only allow the bride to fit the lining such that no mishap can happen just before the wedding. And all what the groom can do is to wait for his bride at the altar in quiet anticipation. And this was what Rigor did while Jenny slowly glided toward him at the long red carpet, and beautiful flower blossoms at the side at the long red carpet – just wait and gushed over how beautiful Jenny was in her beaded gown accentuated with the up-do hairstyle and fresh looking make-up, exclusively for that matrimonial date. Ah love and its many rituals leading to a perfect wedding! At present, I am not quite sure if a man formally proposing to his girlfriend to become his wife is already part of the Filipino contemporary traditions before marriage. I know it is big in the USA. The man gets on his knee, and puts on that 2 carat rock on the lady’s finger, and she flashes the ring to everyone who may just witness such expression of love that should end up in matrimony some months later. But what I do know that Filipino custom of Pamamanhikan is that official declaration to the parents on both sides that an of age man and his girlfriend have settled on a date for church matrimony. Usually the parents of the man would come to the girl’s house to formally ask her parents for her proverbial hand. And if the girl’s parents consent to such proposal, a hearty dinner meal is feasted on to show unity, harmony, and accordance in the blending of basically two families through the coming marriage of two distinct people. 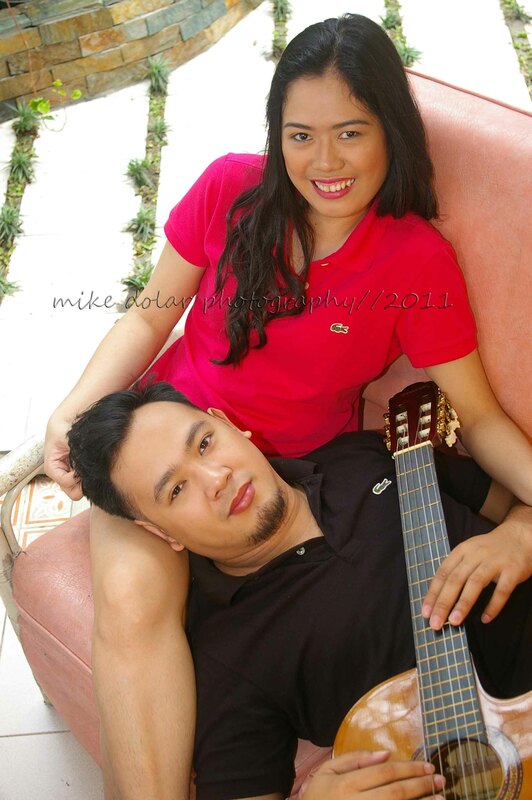 I am not quite sure how the pamamanhikan of Jennifer Casiano and Rigor Soliven had gone, but when I took some pre-nuptial pictures of them, they intimated the hassles and costs of all the wants and needs for the coming big, successful wedding ceremony at Sto. Domingo Church in Quezon City on December 28, 2011. In that one December morning, just before the wedding, Jenny and Rigor had to squeeze in their very hectic schedule, the pre-nup photography which probably a decade ago never existed to be part of the numerous steps leading to that church ceremony. For a photographer like me, I am just honored to be doing it for a couple who wants it. But really how important is it to have a set of pictures for a couple, just before getting into a kasal? 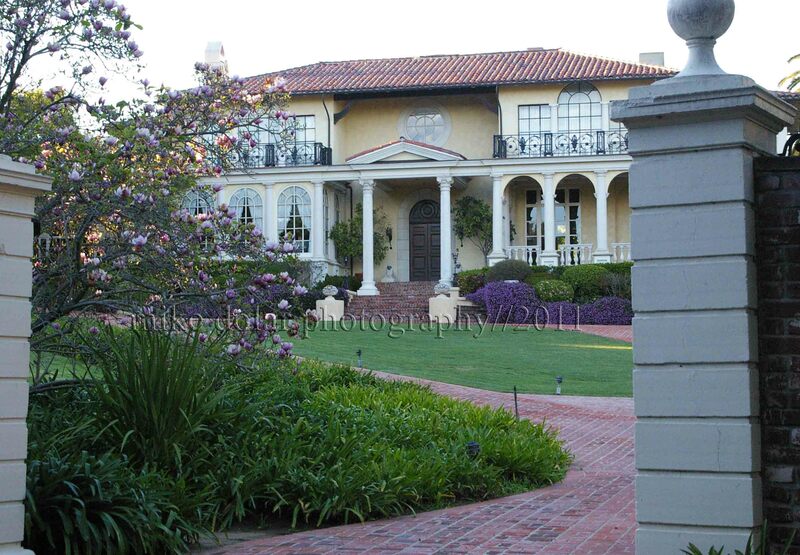 The preparation for a wedding can be a big headache for a couple since it entails so much details and possible snags. And of course, where does a couple who only wants to enjoy their actual day of wedding go to? The phenomenon of a wedding planner has reached not only Metro Manila, but perhaps even in the provinces where wedding preparation used to be a family, or even a community effort – particularly when roasting the pig or bigger yet, a calf. After finding the right wedding planner, then the groom and the bride-to- be choos the motif/style/theme for the coming wedding that she dreams of since perhaps she was a child. It can be sleek and chic or it can be grand and fabulous for every guest to remember. The wedding planner gives all the options and suggestions for the couple to decide on, constrained possibly by only the budget. Will the wedding be in a cathedral or on the beachfront? Will the choir music envelop the whole church? 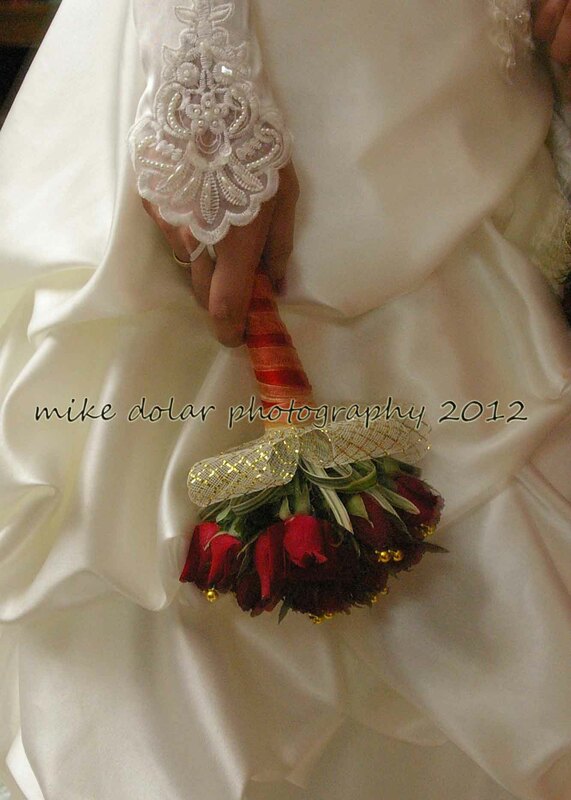 Will flowers abound as the wife marches to the altar? Will the reception be inside a ballroom of a hotel? Will the food be served ala carte or buffet style? Will there be a five-tiered cake or will cupcakes create that whimsy wedding for the couple? With a hundred or so needs until the wedding and reception are over, the role of the wedding planner has been important for the busy couple who just wants their wedding to be memorable and enjoyable, not only for the guests, but most importantly to the couple themselves. And I just wish that Jenny and Rigor just had the same fun and excitement planning their wedding, with or without the wedding planner. Some months ago, as my relatives and I trekked back to the iconic travel-must, Disney World in Orlando, Florida, we passed by this beautifully erected Catholic church in Hanceville, Alabama, in the farmlands of Cullman. 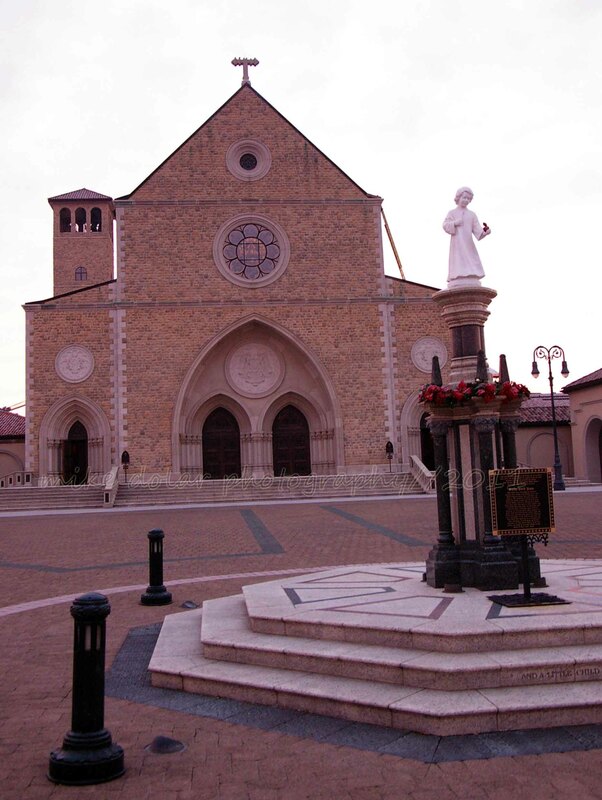 This monastic church of The Shrine of the Most Blessed Sacrament was built by the adorably telegenic Mother Angelica, founder of EWTN (Eternal World Television Network). After being instructed by the Lord to “build a temple” in 1995, Mother Angelica was able to finish the construction in 1999. The church’s medieval appearance seems to be substantial in architecture, particularly with the fortress like form of the Castle of San Miguel (a gift shop) fronting the church. Inside, the cavernous church, one will be able to draw the sense of awe and aspiration to be with God and the Creator. The interiors are rightly so grand and opulent (despite being run by the Poor Clare Nuns of the Perpetual Adoration, the congregation joined in by Mother Angelica) with marble floors, vaulted ceilings, and the gold leafed tabernacle. It is said that masses there are observed with a highly inspiring choir, orchestrated by the cloistered nuns themselves, behind the heavy altar grills. As a sidenote, if you get to be in one of the masses, try to look for this youngish couple with all twelve kids in tow, all in their sunday formals (guys in dark jackets, and girls in laced short veils), and all sitting from youngest to eldest. The Pro-life advocates of the Church will be too happy to know this. Testament. The church building and the media network themselves are testament to Mother Angelica’s own calling to serve God and his purpose. In the Philippines, a bastion of the Catholic Church, there have been many who have effectively used not only the pulpit, but the far-reaching, television and radio mass media to instill the values propagated by Vatican to access a bigger Filipino audience. In the 80’s, the Dominican Father Sonny Ramirez was the most popular priest with an affable demeanor, away from the cliched stringently inflexible personalities of priests in robes then. Father Ramirez’s use of street language and fresh insights were utilized very well in his own television show, Sharing in the City. The Philippine Catholic Church has its own AM station, Radyo Veritas, DZRV which has its own league of priests, like Father Larry Faraon, and Monsignor Teddy Bacani that have disseminated the Word of God inside the Filipino homes and even outside the Philippines, mostly Asian countries (anchored by their respective Asian priests). Through the years, there have been other religious personalities that have made waves and gained eminence in media with their endeavors. Music composers like Father Eduardo Hontiveros and Father Manoling Francisco, both Jesuits, have produced songs that have heavily penetrated the Filipino consciousness such as Papuri sa Diyos and Hindi Kita Malilimutan, respectively. Another Jesuit, Father James B. Reuter, although American, has been a strong ally of Philippine Theater, particularly in the 50s and the 60s, showing off Filipino thespic talents. Too bad, his theater success , unlike songs and movies, is difficult to record and remember for today’s audience. Lived Life. Many of the names that have been mentioned are quite lucky to find out their true calling in life – this time in preaching the name of the Lord, using the vast formats of media. Such persuasions are gathered from the fired up passions of their hearts and the gentle murmurs that excite their minds. It is just a matter of action, and true perseverance before they get to realize all their lofty dreams, all their big aspirations. But everything starts from saying “yes” to such calling – whether it is in the realm of religion, politics, business or other beliefs that are provoked by the spirit of a higher entity. I come back to the Philippines, to my home country, fully knowing that this is where all my efforts should be realized. I just respond to my innermost desires and convictions, just like all those who were lucky to have known what they have been called for in life. Abroad, my life was just a cruel negation of all my heart’s and mind’s interests. I had to constantly whisper to myself that I just had to come back. As I arrived in Manila, on the day of the dead, November 1, 2011, my Easter has truly come. Now, I live. Somehow this blog has reached Dutch country – Holland, Michigan, that is. Cousin Barbara, and her husband, Eliot, invited me to go aboard their recreational vehicle to visit the quaint city of Holland, about 190 miles, West of Detroit, or about 2 hours and 30 minutes of drive while enjoying the lavish accommodation and some good conversation inside the behemoth vehicle. Apparently, at that time, we missed out on some pretty tulip blossoms which usually make their abundant presence felt during the month of May. But I knew aside from the tulips, there would be other attractions that could be seen in this settlement, founded by the Dutch settlers that arrived mid 19th Century to establish their own religious sect, outside Holland – the country, that is. And most definitely, there is a wealth of Dutch knowledge to be had at Neli’s Dutch Village Theme Park. Costumes, dances, music, and food which includes their famous cheese are all featured by young kids that come from generations of Dutch people who braved settling to this area. The theme park and other Holland City landmarks celebrate the famous people from Holland where arts and crafts are salient part of its culture. Famous Flemish painters like Rembrandt and Vermeer have their works featured at Holland’s museum while there is a depiction of Vincent Van Gogh, painting his famous “Sunflowers” series inside Neli’s theme park. Aside from the windmills that create power and the charming blue and white ceramics, it is their use of a pair of klompen that can generate some smiles and heartening guffaws from us outside of Holland. Klompen are those danish wooden clogs, used during the olden times for farming and everyday use, specially for wet and damp grounds. It may feel hard on the feet, but the wearer has put on thick socks for convenience. Today, klompen is just a reminder of Danish culture and tradition (even for folkloric dancing), and has become a favorite tourist souvenir kitsch, particularly the miniaturized ones. 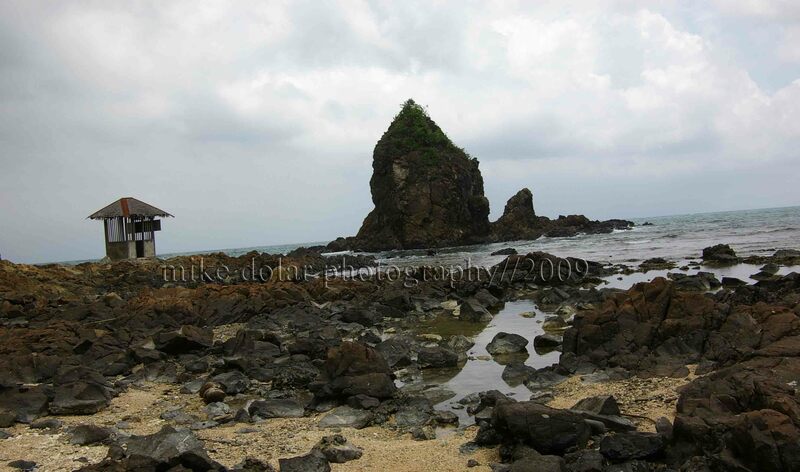 In the Philippines, we have something quite similar – the bakya. These are wooden strapless sandals that were for everyday use, by women in their kimonas or other Filipino traditional dresses, particularly in the 1950s. 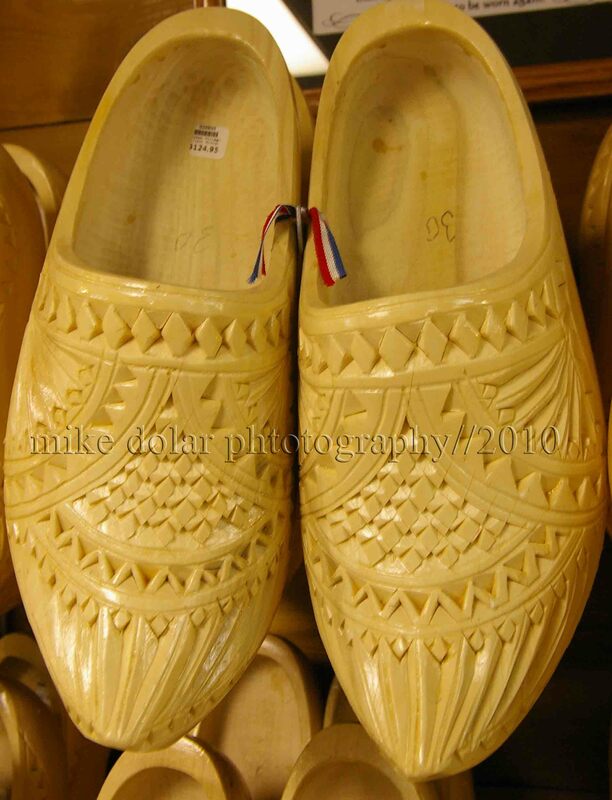 Unlike in using the klompen, the Filipino women didn’t need to use socks or stockings when putting on the bakya hence it may be inconvenient on the feet. Hence the bakya production dwindled when the more comfortable rubber slippers were introduced. But then bakya made a comback in the late 1970s up to the early 1980s when the lowly bakya was adopted by a Filipino brand, Happy Feet. The bakya became a rage for the college crowd that went almost subversive against the elite shoe fashion brands from Europe. During the 70s and 80s, the women and even the more avantgarde men happily wore bakyas for them to be seen as cool and unpretentious. However bakya, particularly in 1950s was synonymous to the hoi polloi or the masa hence Filipino director Lamberto Avellana angrily coined the phrase “bakya crowd,” particularly for the Filipino audience that appreciated low brow movies which the National Artist never subscribed to when making films. Today, such derogatory phrase has moved on to just one word – “bakya” – that is to describe a mentality that is unhip, unfashionable, unsophisticated and unclassy even outside the realm of movie preference, again, associated with the Filipino masses. Are Van Gogh and his art bakya? Sosyal! 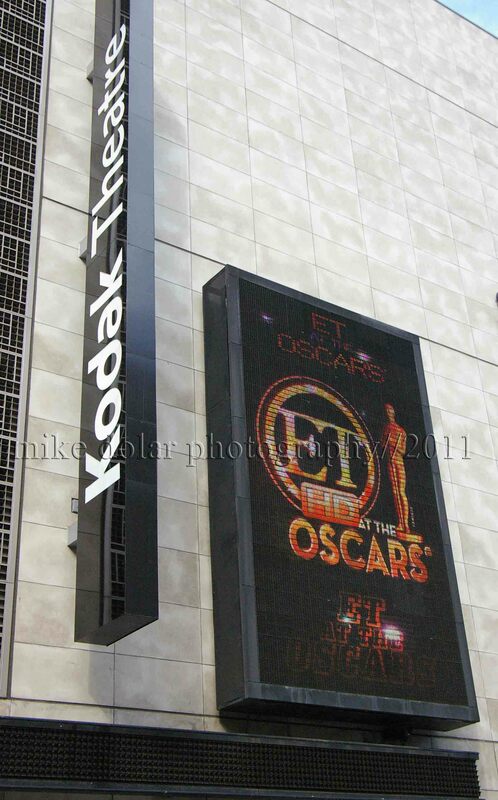 “Forgive them, celebrity worshippers!” one mockingly said to another while they passedby a group of frenzied kibitzers hanging around to gawk on celebrities walking through the Oscar Award at the Kodak Theater last Sunday, February 27, 2011. 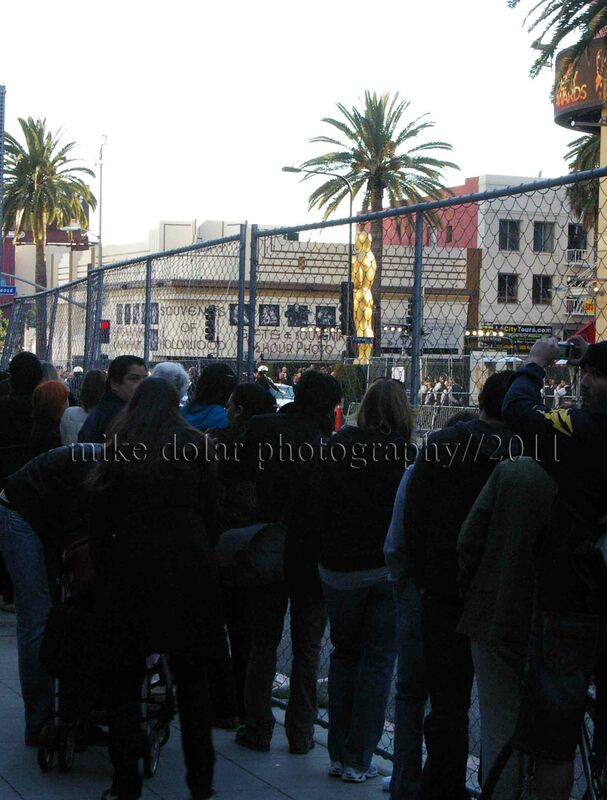 In the cold Los Angeles afternoon, people still waited and sorrily grasped on wire fences, even if the Los Angeles Police were asking them to get out of the perimiter that divided the stars from the spectators who didn’t have the pass to get into Oscar territory. Well admittedly, I together with my cousin Barbara, was one of those celebrity stalkers, hungry to gaze at some film superstars like Anne Hathaway or Steven Spielberg. But too bad, we never got to see anyone remotely well-known during our brief stake out at the very end of the red carpet where stretch limousines had dropped their celeb passengers, near the Hollywood Wax Museum. Apparently even our hurried travel to some other parts of Los Angeles as tourists made us still awfully late in having exceptionally rare, face to face encounters with showbiz A-listers. Yups to some, the experience was lame, particularly that we never had seen even one notable personality. But this annual affair is being shown to about 2 billion people, world wide, in 200 countries. And for us, just to be at the center of the hoopla was one distinct occurrence, never to be dismissed at all. Furthermore, Pinoys who are incredibly avid Hollywood movie junkies, are big about the Oscars such that the whole event is shown live on television, preempting morning and noontime shows in the Philippines. For several years now, the Philippine movie industry has tried to submit films, worthy to be among the five nominees for Best Foreign Language film at the Oscars. In fact, Filipina ace star, Judy Ann Santos, even had an earnest campaign, costing her some precious Dollars, to include her movie, “Ploning,” among the nominees several years ago. Too bad, nothing came out of it. However, in this year’s edition, a handful of Filipinos have been nominated in their particular categories, including 14 year old Hailee Steinfeld, nominated as Best Supporting Actress for the film, “True Grit.” Apparently, she lost to Melissa Leo of “The Fighter” though. In 1986, right after the EDSA Revolution, Jane Fonda had flashed a “Laban” sign on live Oscar television presentation just before she rattled off the nominees for a particular movie category. Obviously, our revolution has gone Hollywood. Recently, even at the red carpet, big shot actresses sashay their stunning gowns that have been exclusively made for them by Cebu raised, Monique Lluhillier who is now based at Los Angeles. This year Mandy Moore proudly wore a creation of this now esteemed couturier. That afternoon, instead of getting excited about the personalities and their outfits on the red carpet, we had to make do at ogling at some bargained Oscar statuettes at $9.95 each on some souvenir shops along the boulevard. Then the following day, we decided to go back to the same site, hoping to get better posterity shots of the giant statue right in front of the Kodak Theater. But heck the efficient organizers had removed such gold icon early morning and the only reminder of the past evening was the installation of “The King’s Speech” as 2010’s Best Picture at one of the mini marquees that give out the theatre goers of all Oscar Best Picture Awardees since 1929 (see picture above). A log cabin house is blanketed with pristine white snow. Holiday lights, running along the edge of the roofing, brighten even more the icicle drops that form on the same roofing border. Heavy snow clings on the tree branches that frame the house where you can get a glimpse at one of the windows, of the smoldering cinder at the fireplace. Such scene warms your heart, particularly when you see that amusing snowman, seemingly cajoling you to play around too in the snow covered frontage. What wintery wonder! The whole scenario may be idyllic Christmas card pretty, particularly for us, Filipinos in tropical Philippines. 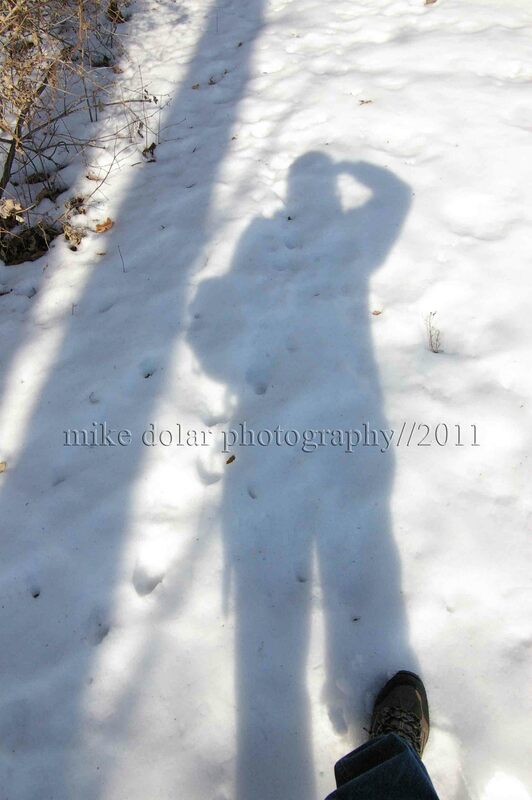 But the truth of the matter is, snow may only be a good backdrop for photographs. During winter season, the roads are quite icy hence driving has to slow down dramatically. And you need to be ready with the ice scraper and sometimes the plastic shovel, once the flurry of snow cloaks your car and submerges your tires into 8 inch snow. We are not even talking about winter storms or blizzards that can cause havoc to property and people – with at least 12 inch of snow precipitation. It may be sartorially sharp for you to buy the snazziest winter gear – including, trenchcoats, beanie caps, sweaters, and scarves, to wear for those holiday parties. But to don a litany of accoutrements – bodywarmers, long socks, winter boots, gloves, jackets, caps, just to bring out the trash in bitingly cold nights, can be quite annoying and cumbersome. Of course, you can revel with delight in outdoor winter games and sports – skating on park rinks, or skiing on mountain slopes. But for those who are athritic, or don’t have enough flab and fat, they may not relish the frigidly cold temperature that the snow brings along. That innocent looking snow can be quite nasty. Thank goodness, eventually such white snow will melt and turn into dirty, murky slush that you just want to get rid of soonest. By February 2, animals, like groundhogs in Punxsatawney, Pennsylvania, customarily become prognosticators of how long winter season will be. According to such landbeaver prediction, Spring comes in early this year, 2011. FULLY FURNISHED HOTEL TYPE UNIT (Rhodora Suite) for two at P1350 PER NIGHT!! HOTEL TYPE UNIT (Justa Room) FOR three or four PERSONS AT P1700/NIGHT!